A Cambridge, Massachusetts, man has been arrested by federal authorities after allegedly threatening Immigration and Customs Enforcement agents on social media. Brandon Ziobrowski, 33, was arrested in New York City Thursday morning after he allegedly tweeted under the username @Vine_II that he would "give $500 to anyone who kills an ICE agent," according to the indictment. "I am broke but I will scrounge and literally give $500 to anyone who kills an ice agent," he allegedly wrote on July 2. "@me seriously who else can pledge get in on this let's make this work." At the request of law enforcement, Ziobrowski's Twitter account was suspended and the tweet threatening ICE was deleted later in July. U.S. Attorney Andrew Lelling and the FBI are expressing heightened concern for the safety of law enforcement officers after a man allegedly threatened ICE, police and Sen. John McCain. Authorities said Ziobrowski also tweeted that he wanted to "slit" U.S. Sen. John McCain's throat and repeatedly promoted violence against police. "Guns should only be legal for shooting the police like the second amendment intended," one of his anti-police tweets read. Another said that anyone who shot a police officer should "get a medal." 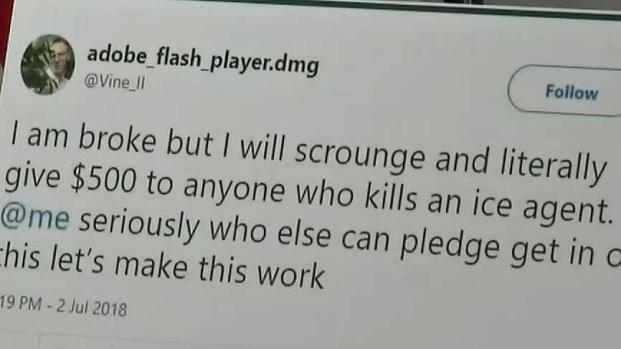 The Department of Homeland Security first noticed Ziobrowski's tweet about killing ICE agents on July 5, along with other tweets dating back to February promoting violence against police. Ziobrowski was arrested without incident around 7:15 a.m. Thursday at the corner of 28th Avenue and 41st Street in Queens, New York, by agents from the FBI Boston and New York joint terrorism task forces. He was in New York visiting a friend. Shaw, U.S. Attorney Andrew Lelling and Homeland Security Special Agent in Charge Peter Fitzhugh formally announced the case against Ziobrowski at Moakley Federal Courthouse in Boston on Thursday morning. 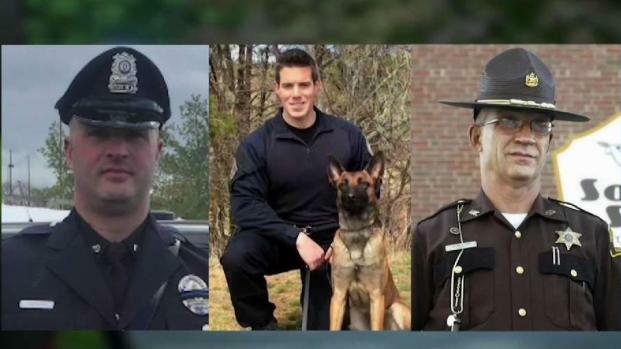 Lelling referenced the recent uptick in violence against law enforcement, noting that four Massachusetts police officers have been shot so far in 2018. Two of them - Yarmouth K9 Sgt. Sean Gannon and Weymouth Sgt. Michael Chesna - died as a result of their injuries. "I can promise you that during my tenure this officer will aggressively prosecute anyone who incites violence against law enforcement officers," Lelling said. "Enough is enough," added Shaw. Asked about Ziobrowski's motive, Lelling said it appears to be only that he is against ICE and its mission and that he has a "violent dislike" for at least one Republican senator and law enforcement. "He appears to just be some guy living in Cambridge who feels strongly on this subject," he said. "Feeling strongly about something is fine. Putting people's lives in danger is not fine." A man from Cambridge, Massachusetts, has been arrested and charged with making a threat against ICE. "People who try to politicize our mission are within the legal right to freedom of speech," Fitzhugh added. "But when freedom of speech crosses a line into threats or offers to have federal law enforcement officers killed, we will never tolerate that." Neighbors in Cambridge didn't have much nice to say about Ziobrowski. "He is often hanging out in his apartment, on his computer...he had a funny haircut, and just seemed like a flake," one man said. 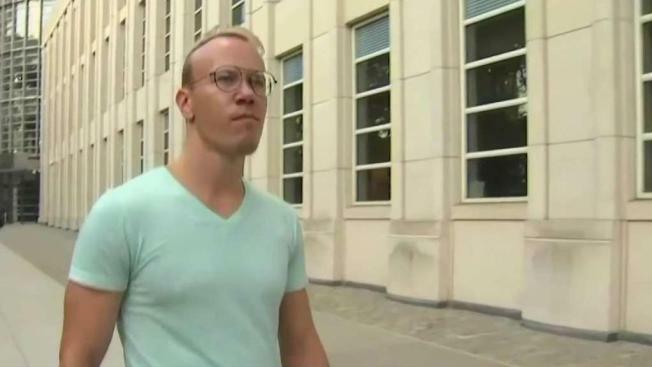 Ziobrowski was arraigned Thursday afternoon in a federal court in New York on the charge of using interstate commerce to transmit a threat to injure another and released on a $50,000 bond with conditions. He was seen wearing an ankle bracelet as he left court. He is scheduled to be arraigned in federal court in Boston on Aug. 15. It was not immediately clear if he has a lawyer. No number for him was listed in public directories.